When Doug came up from Boston to look at a radiology position in Bangor 1977, he and his wife, Posie, spent a night in Blue Hill on the way back down and decided this was the place for them. Except for a few years in Andover Massachusetts, he’s been here ever since. In Andover the ONLY undeveloped land available for walking and hiking was purchased over 100 years ago by the Andover Village Improvement Society. What a wake-up call to the importance of land the preservation. 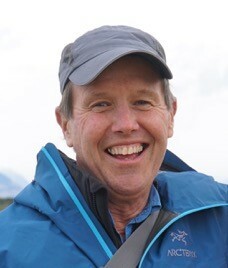 Now retired, Doug works to support community health here on the Blue Hill peninsula, loves to hike, sail, and travel, and is most grateful for our strong communities working together to support each other and the landscape for future generations.